A First Holy Communion is an important time in any child's life. 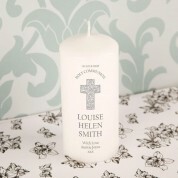 A personalised keepsake candle makes a special memento to mark the occasion. 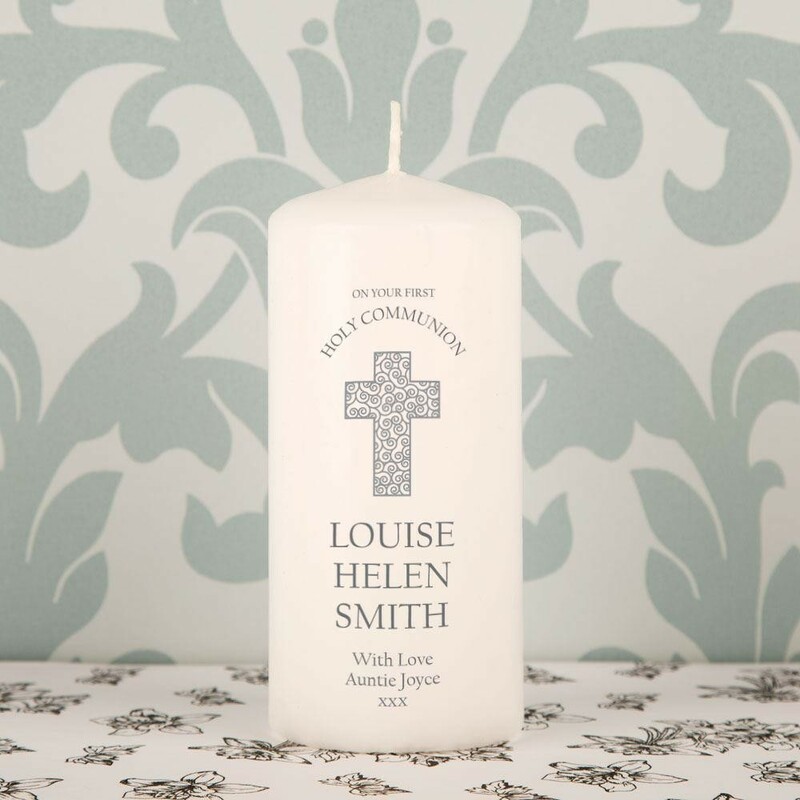 Our precious white pillar candle features a communion themed design and the child's full name and important date. There is even room for a short with love message, making it truly unique to them. The design features an outline of a cross, filled with a pretty swirly pattern. In a metallic grey, it reads “On your First Holy Communion”. The traditional font gives it a classy finish. The candle can be displayed and enjoyed for years to come. As the child grows, they will love to remember their special occasion every time they see it. 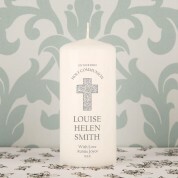 The candle comes gift ready for the recipient in a luxury, drawstring organza bag.